Click the image to visit the CIS of Nevada profile on NVBigGive.Org, and see how you can give where you live! 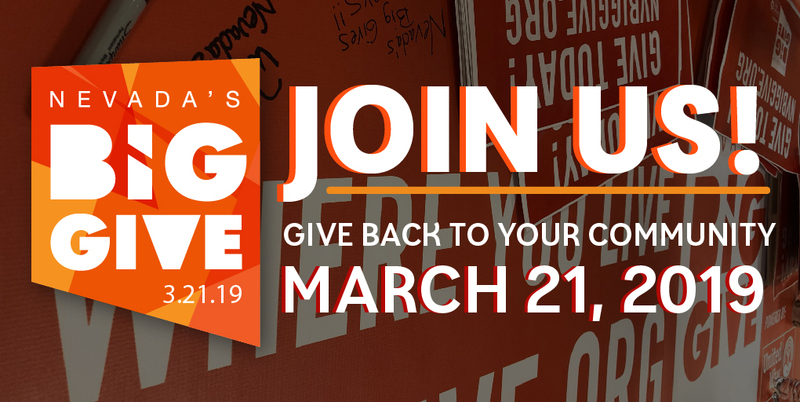 It’s time again for Nevada’s Big Give, one day of charitable giving statewide and a chance to “give where you live”! We hope you’ll choose Communities In Schools of Nevada as part of your giving on March 21. Choose to support our Reno, Elko or Las Vegas affiliate offices—or even all three! Communities In Schools of Nevada is one of the largest state operations within the nation’s leading dropout prevention organization, proven to keep students in school and on the path to graduation. CIS of Nevada uses an evidence-based model, implemented by trained site coordinators, to connect students and their families to critical educational and community-based resources. This involves working directly with schools, communities and families to identify their unique needs and surround students with a caring network of support. Over half of Nevada’s K-12 students are on Free or Reduced Lunch (FRL), meaning they live at or below the poverty line. We work primarily in Title I schools, where the student populations on FRL are staggering. Your support, no matter how large, makes a big impact in these schools.